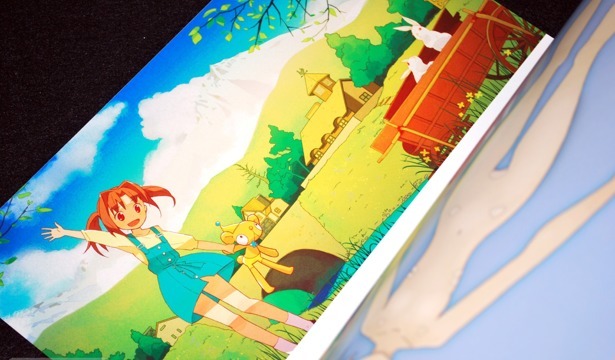 Earlier this year I reviewed one part of Ukke's Comiket 77 release, Girl's Illustrations Winter 2009, with the intention of reviewing Megpoid Crosslight shortly after. I have the "after" part right, anyway. 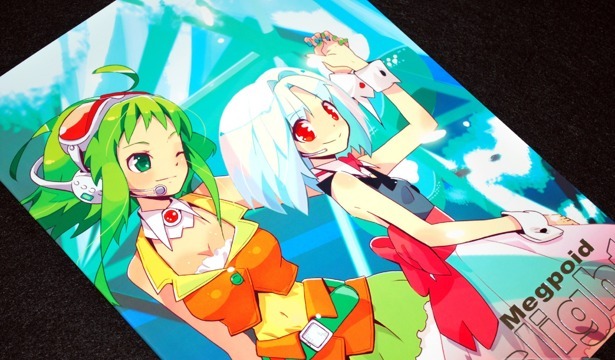 Megpoid Crosslight is essentially a printed version of the art from the Crosslight Project PV which features music by Yuuki Masame and kz from livetune. The Crosslight promotional video where this art work is used can be seen here via the official site, or here on Youtube. 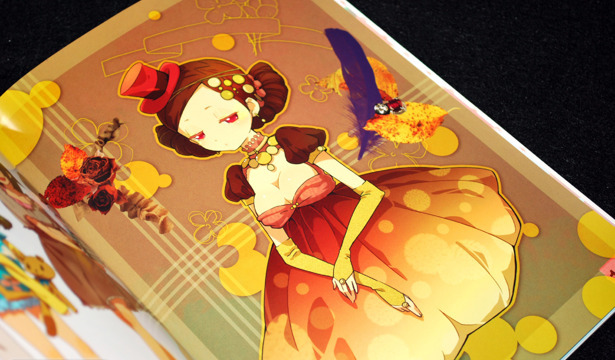 Ukke's colorful and polished art work continues to impress in her TRIP LIP Girl's Illustrations Winter 2009 collection, featuring the most recent assembly of her original illustrations. TRIP LIP was one of two releases by Ukke at Comiket 77, with the other being the Vocaloid book, Megpoid Crosslight.